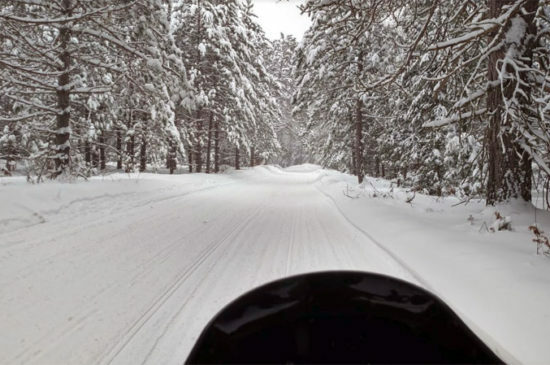 In last weeks writing, I got pretty philosophical about being fine with the slow start to winter this season. Truth is, it was not a lie, but I was a bit worried that perhaps my love of snow was somehow slipping. So this week I thought about it some and kept chipping away at the cores needed to be done. The most important of them was to finish up with the remaining firewood. Then by the end of the week, Jim and I had accomplished that task. 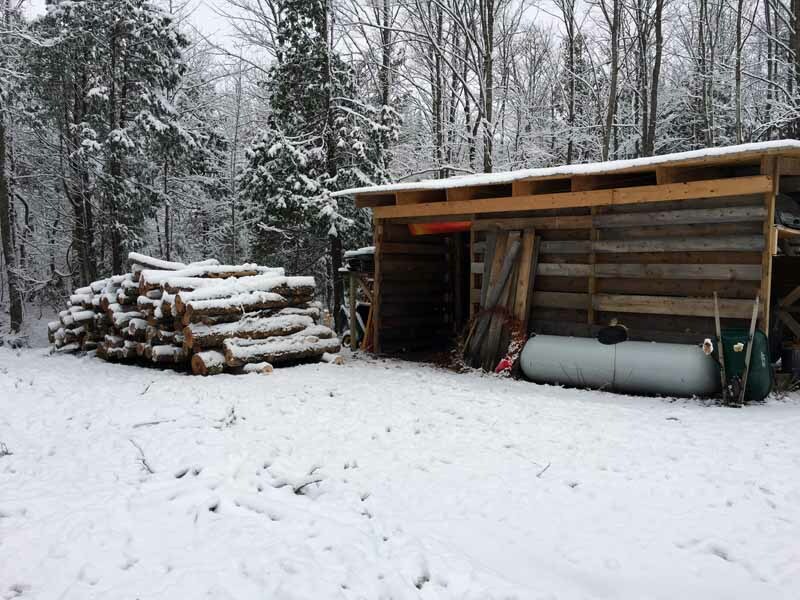 Not every log in that pile was cut to length, hauled into the wood shed and stacked. 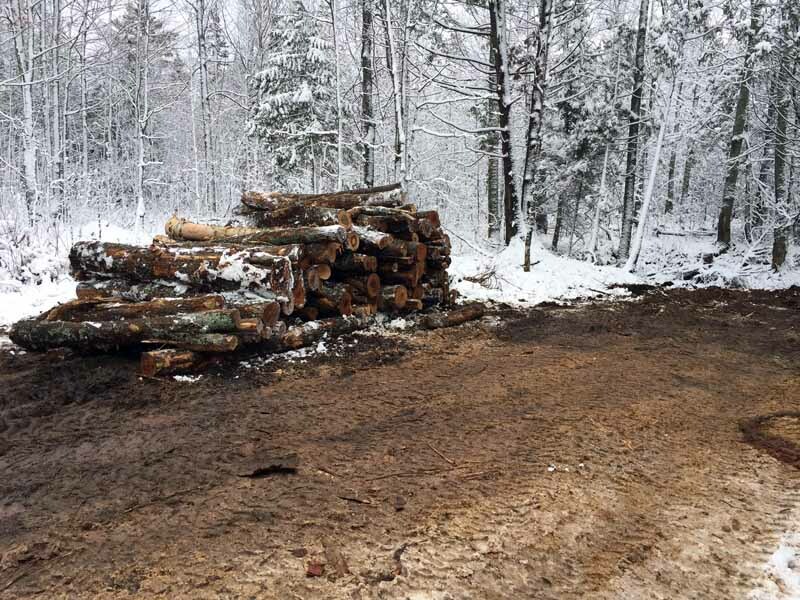 About 1/3 were cut, hauled and stacked. 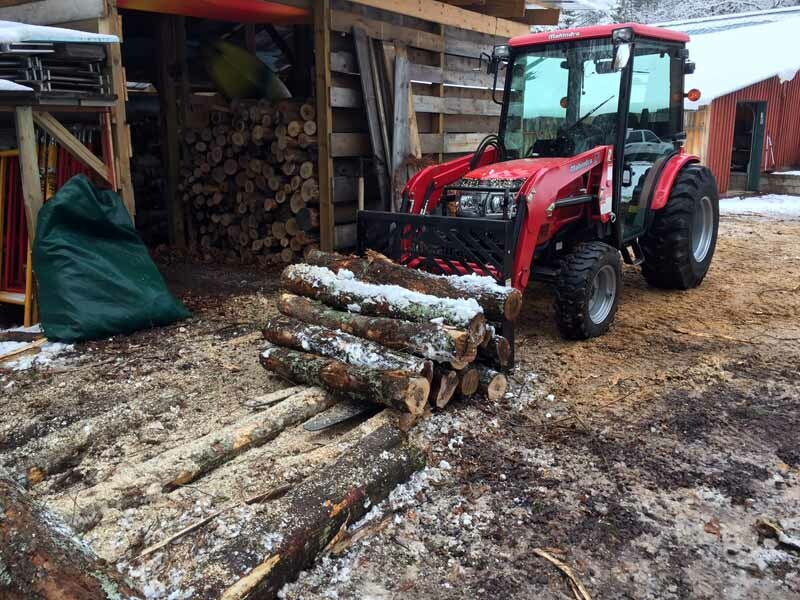 Another third were cut in half, then we used Big Red to haul those half logs into the wood shed, where they will be out of the weather and can be easily cut if need be later in the heating season. 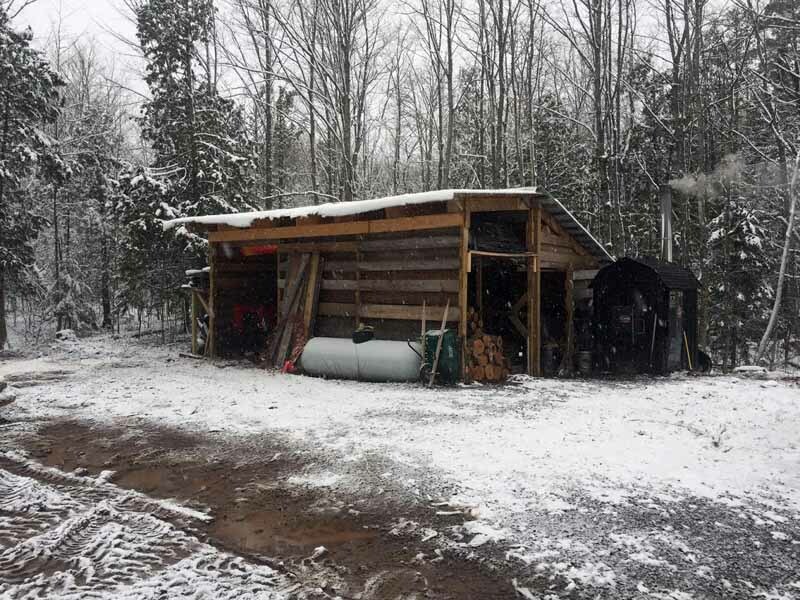 The other third was moved by Big Red to the east a few feet to clear a way to the spot that I dump the ashes from the boiler and to make sure that the remaining wood does not get buried by the snow that slides off the woodshed. I have enough wood cut to get us through the bulk of the heating season, which I consider the end of February/early March. Then if need be, I can cut the half logs into pieces manageable enough to be carried over to the wood boiler and tossed in. The heating season can, and does, extend into the end of May some years, so the stuff left out in the elements will be used in the event that I run out of the half logs. At least that is the plan. I guess we’ll see how things go! 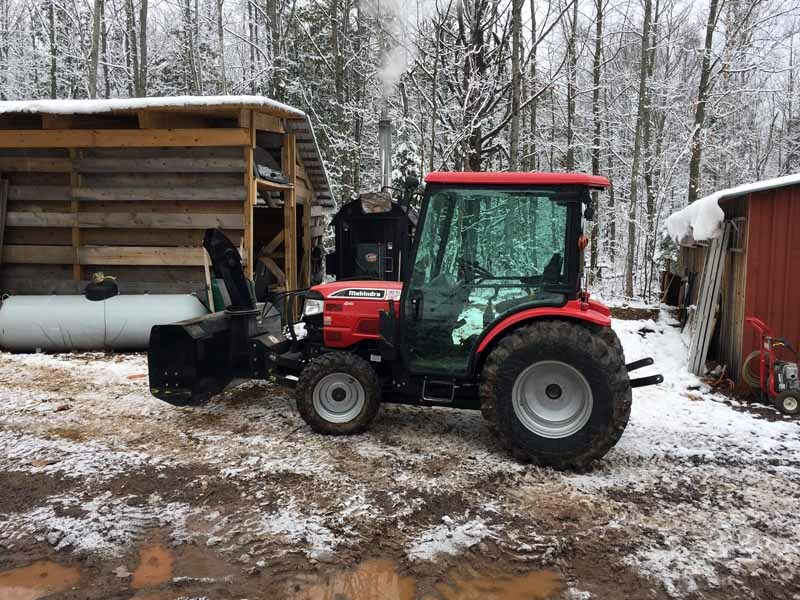 With all the heavy lifting done, Saturday morning, I exchanged the loader arms for the blower assembly and now Big Red is all ready to move snow like a big dog. That process went pretty smoothly. It’s amazing how well things can go when you read and follow the directions for such processes. Two years ago, I thought I remembered the process by heart, but was off by a step or two and had one of the loader arms jump out of the mount and break the front windshield. Lesson learned and I now follow the directions! I even made my own “cliff notes” version of them to help with the process. All told, it took me about 30 minutes to do the swap out and it felt great and pretty familiar to have the blower back on. About 5 minutes after I got the blower attached, Santa showed up early in a black Chevy crew cab with a snowmobile on the back! 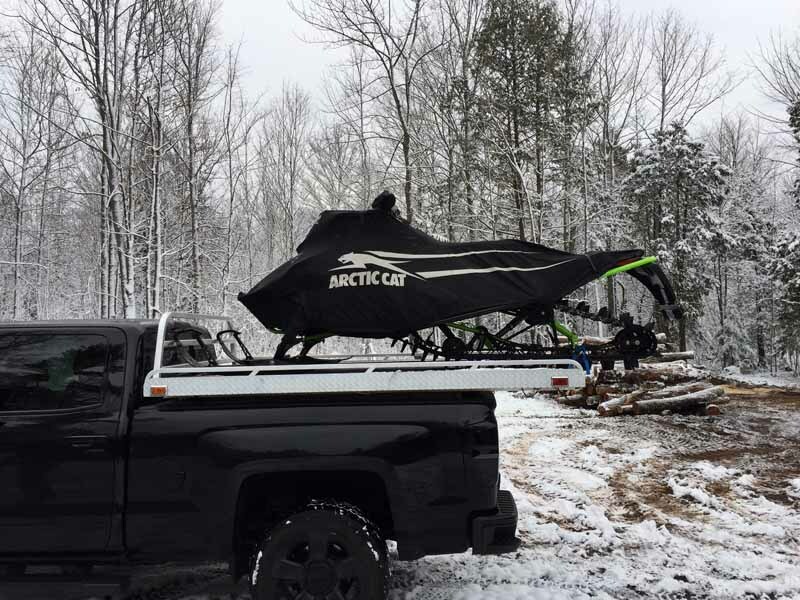 In all the other years, the sled arrived in an enclosed trailer, so it was a little weird to see the sled sitting on a sled bed and all under wraps. I’m sure a lot of you are wondering what I chose this year and like the Hayday’s reveal Arctic Cat does every year, you will just have to wait! Just kidding, it is a beautiful black one with green accents. Ok, ok. I was blessed to have Rt 12 deliver a 2017, M8000 Proclimb 153 Limited ES. As Bill pulled the cover off of it, I got my first look at it while it was on the sled bed. Then he backed it off and I got to get an even closer look at it and even get on it. 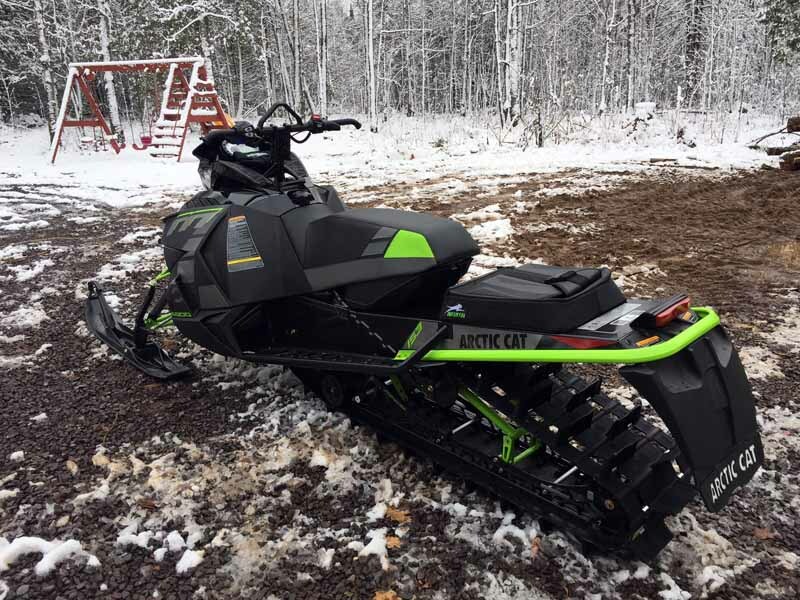 I’m not sure why, but this sled really got me pumped for riding. Not that the others did not get the blood flowing, but for some reason, I could imagine carving up some logging roads as I sat on it. 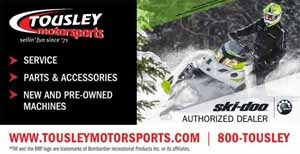 So a huge thank you to the folks at Rt 12 Arctic Cat for their continued support of my snowmobiling addiction! So the wood is done, the blower is mounted and this years ride is in the stable. Hence the title to this weeks entry. I am ready and my excitement for the snow to start getting deep is rocketing and my patience for it to happen is fading like the dim December sun. I am still as thankful for everything as I was a week ago, just getting pumped for the snow to start flying in earnest. 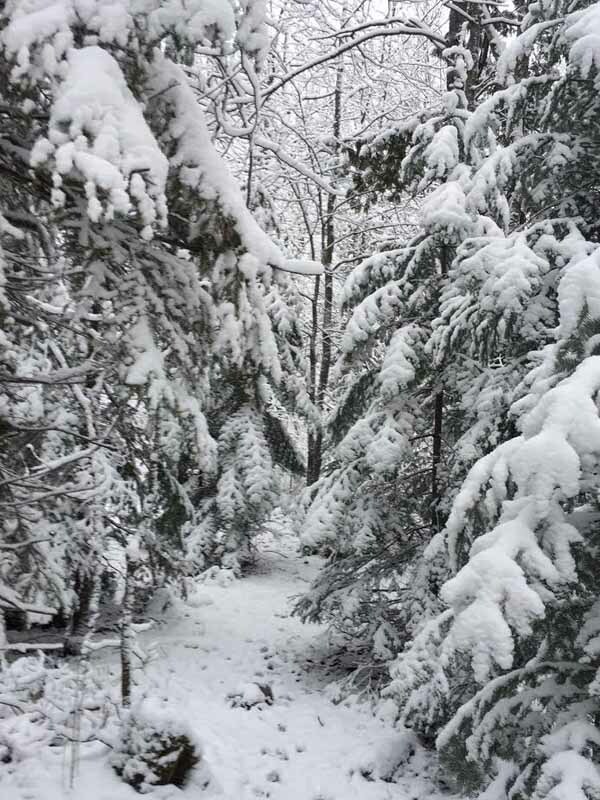 I have probably said it may a times in my writings, but it is such a joy to live in an area where it is not a question of if we will get a lot of snow this winter, it is just how obscene things will get! Even in a poor year, we are pretty much guaranteed to get at least 12 feet. So my excitement is justified as well! We did get a few inches of snow the second half of this week and it is currently snowing, more on that in a bit. 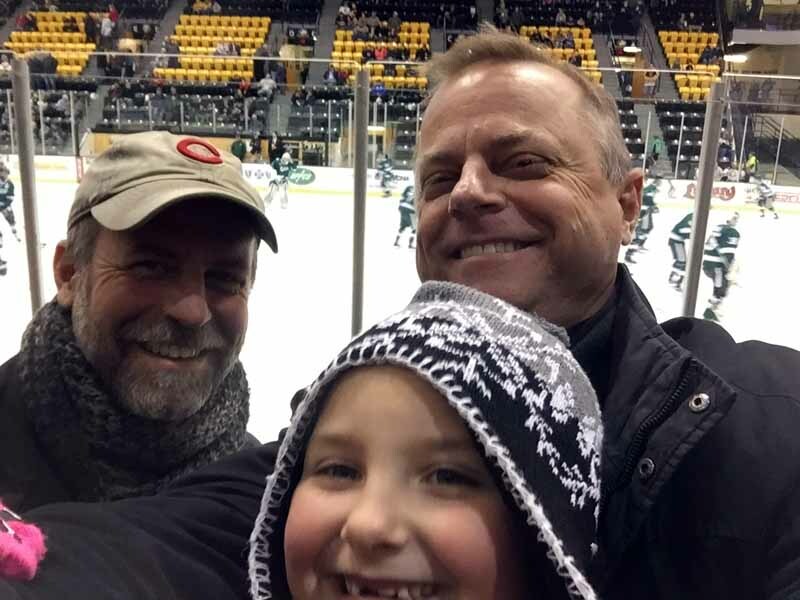 To help stave off the anticipation, Gracie, Jim and I went to watch the MI Tech hockey game against Bemidji State. Bemidji is off to a great start and is leading the WCHA. MI Tech got off to a bit of a rough start against some very good teams, but has been hot the past dozen games or so. So this weekends match up had all the makings of a great series. On Friday, Bemidji got the best of Tech. Tech scored first, but then two goals by the visitors put them in the lead and they finished off the night with an empty netter to bring the final score to 3-1. I had a strong feeling that Saturday nights game would have a much more favorable result for the Huskies and it did. They got on the board first, then had a goal disallowed by a “man in the crease” penalty and then Bemidji scored to tie the game. Things were getting kinda quiet in the stadium and then with around 4 minutes to go, the Huskies scored to take the lead and ended up winning 2-1. A great game, with great results. When we first started going to the games, I felt like a bit of an outsider. Not because others at the game made me feel that way, I just did not know about all the little things they do between the periods or even while in a tv time-out. Now I almost feel like a regular! Keep in mind, if you are in the area and tech is in town, you should check out a game. $15 for any seat in the house, just be sure to check to make sure the games are not sold out. Since their current coach has taken over, they tend to have that “problem” more frequently. So the rest of this entry will be dedicated to a nice walk in the woods I took with the pups on Thursday. 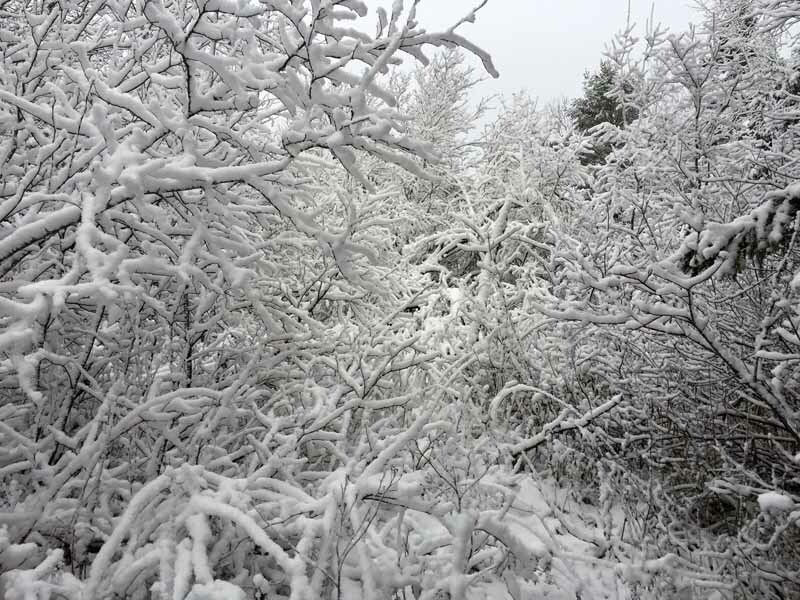 We had just picked up about 3″ of new snow and it was the wet and sticky kind so the woods were nicely frosted in the white. So with firearm deer season over, the pups and I took to the woods for our first walk in them in over 2 weeks. 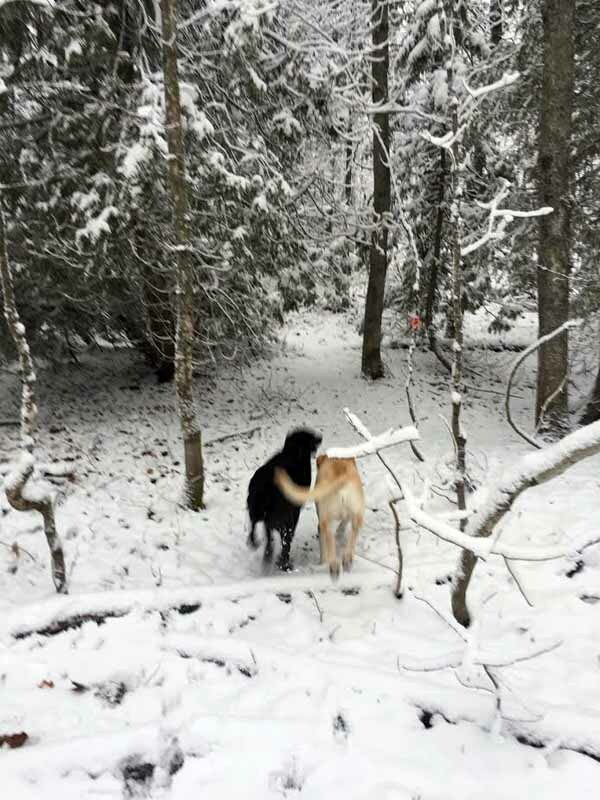 To say that the walk in the snowy woods with the pups was uplifting would be an understatement. 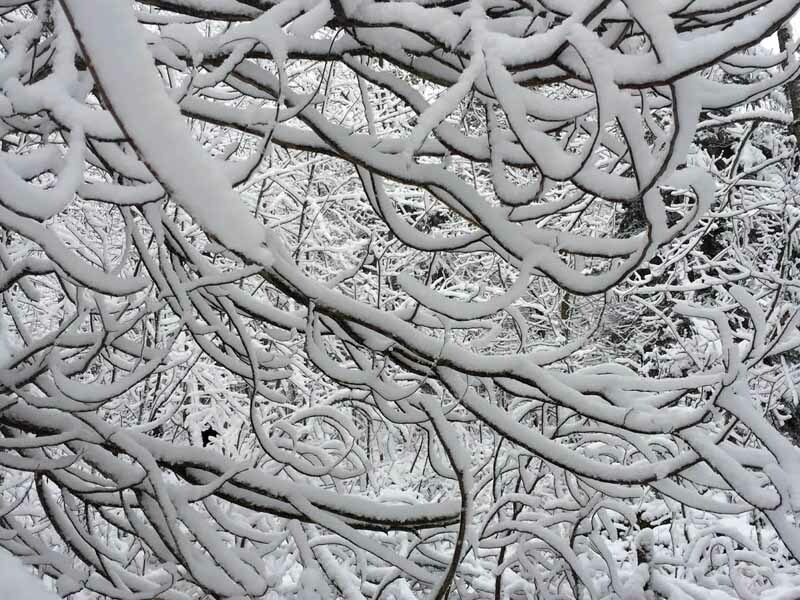 Even though there was not a ton of snow that had fallen, the beauty of the woods was remarkable. The trails that Jim and Gracie worked so hard to make this past summer and autumn were easy to follow and in some spots were almost like walking through a magical kingdom of giants. 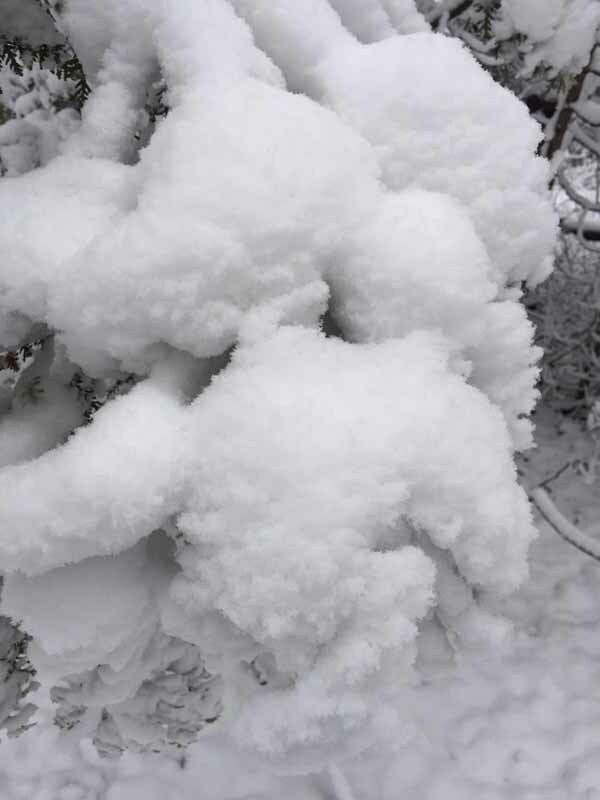 In some cases, the leaves or needles were completely covered in the white wonder, in other cases, the snow had made an otherwise passable route a snowy thicket. 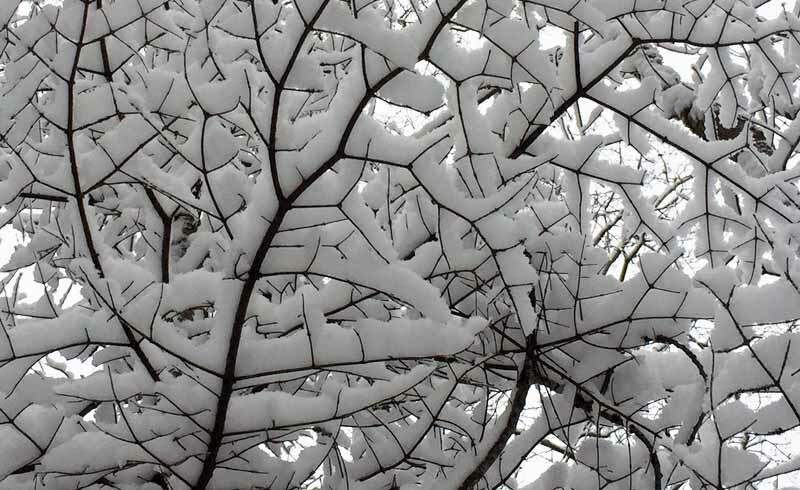 One of my favorite moments was passing underneath a balsam fir that had died, but was still standing and instead of the green and fragrant needles on the branches, it was white cotton-like powder. Another thing that made the walk so special was to not just have these snapshot views, but to be completely surrounded in it. While it is not quite possible to give you that experience, I did utilize the panorama feature of my camera to take a 180 degree view of the spot I like to call “Popple Park“. It is a spot where there are quite few birch and poplar trees growing and not much else. A different feel from the rest of our woods, in any season. 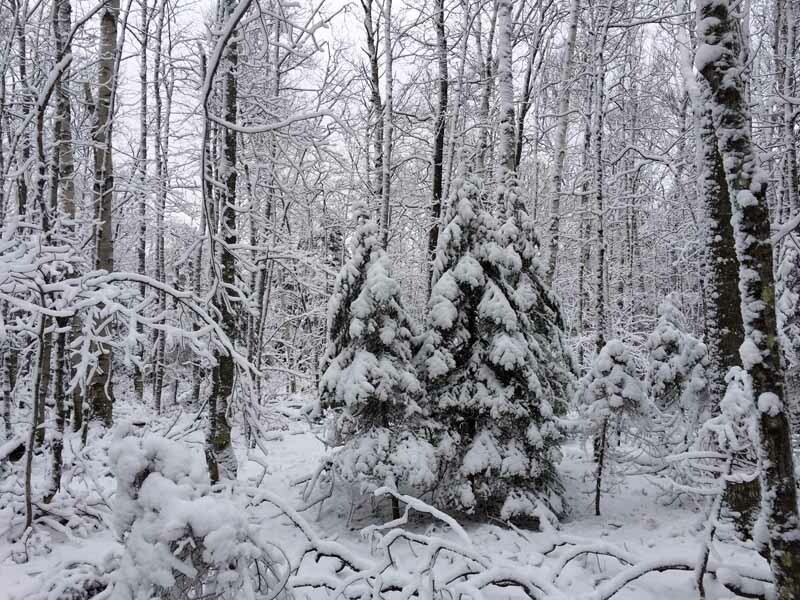 So there you have it, the Keweenaw is snowy again and based on the forecast, it will start to look more and more like it is suppose to in the winter as we head through this week. No big system snows, but a couple of inches out of this current event and then maybe an inch or two Monday into early Tuesday and then the lake effect gates will be opening up and blessing us with what looks to be at least a foot of fresh late Tue-Thur. The forecast beyond that looks good for more snows and cold enough temps to keep it all around. So I say…Bring it! Good night from the Keweenaw.